Collaboration with highly-regarded and gifted composer, Jeffrey Mumford, on a new Violin Concerto! Solo Violin works by Elliott Carter, Jeffrey Mumford, Salvatore Sciarrino, Jonathan Katz, and JS Bach. 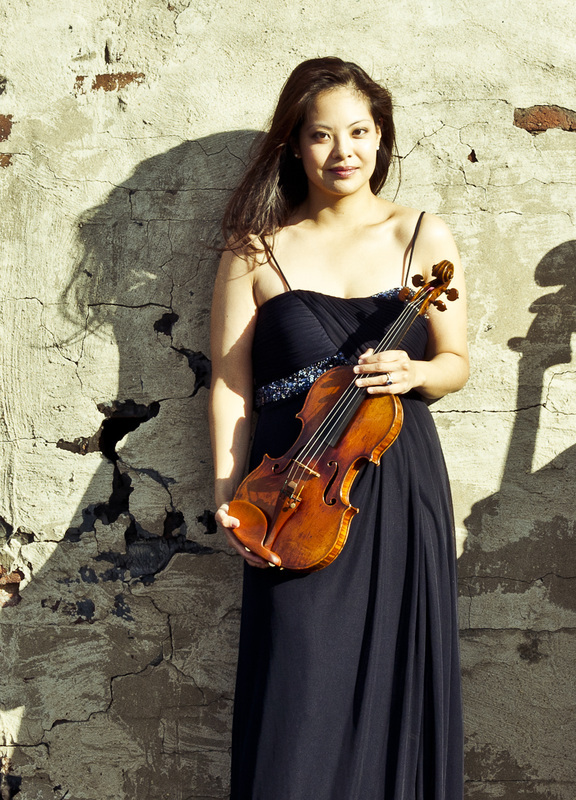 Chin Ting Chan's Friction for String Trio with Matthew Daline, viola and Brian Snow, cello. Marilyn Shrude's Sotto Voce for Piano Trio with Laura Melton, piano, and Brian Snow, cello. Christopher Dietz's Sonata for Violin and Piano with Laura Melton, piano. Perrysburg Symphony Orchestra Chamber Recital. All Saints Catholic Church, Rossford, OH. Piano Trios at SUNY Fredonia with Laura Melton, piano and Brian Snow, cello. Trios of Beethoven, Brahms, and Jennifer Higdon. BGSU Faculty Artist Recital with Laura Melton, piano and Conor Nelson, flute. Jennifer Higdon's Piano Trio with Laura Melton, piano and Brian Snow, cello. Carolina Heredia's Déjate Caer For Solo Violin and Electronic Playback. Jennifer Higdon's Violin Concerto with the Bowling Green Philharmonia. Germantown Performing Arts Center, Memphis, TN. Academy of Music, Northamption, MA. Troy Savings Bank Music Hall, Troy, NY. Mahaiwe Performing Arts Center, Great Barrington, MA. Concerts-at-Half-Past-Twelve, St. Francis College, Brooklyn, NY. Music of David T. Little, Paul Schoenfield, and more American favorites. Kobacker Hall, Bowling Green State University, OH. Saint-Saëns's Introduction and Rondo Capriccioso. Violin Residency at Bowling Green State University College of Musical Arts. Music of David T. Little, Marc Mellits, Aleksandra Vrebalov, and Elliott Carter. Metropolitan Club, Washington D.C., MD. Recital with Efi Hackmey, piano. Elebash Hall, Graduate Center of CUNY, NYC. Music of Elliott Carter with Brian Snow, cello and Jonathan Howard Katz, piano. Resonant Bodies Festival, Brooklyn, NY. Kurtag's Kafka Fragments, Part I with Mellissa Hughes, soprano. Kumble Theater, Long Island University, New York, NY. Ensemble ACJW, Carnegie Weill Hall, NYC. CD Release Concert and HILO Duo Debut. New Chamber Ballet, City Center Studios, New York, NY. The Hudson Trio, Spectrum, New York, NY. Piano Trios by Jonathan Scheffer*, Elizabeth Hoffman*, and John Cage. Paragon Ragtime Orchestra, Lewisburg, PA.
Ensemble ACJW, Carnegie Hall, New York, NY. The Hudson Trio, Sinking Spring Presbyterian Church, Abingdon, VA. The Hudson Trio, Lincoln Theatre, Marion, VA. The Hudson Trio, Masterclasses as SWCC, Richlands, VA. The Hudson Trio, Covenant Presbyterian Church, Richlands, VA. The Hudson Trio, Jettie Baker Center, Clintwood, VA. The Hudson Trio, Masterclasses, Roanoke, VA. The Hudson Trio, Blue Ridge Community College, Weyers Cave, VA.
S.E.M. Ensemble, Carnegie Hall, New York, NY. Ensemble Epomeo, Our Lady of Lebanon Cathedral, Brooklyn, NY. String trios of Michael Vincent Waller, Lou Harrison, & Beethoven. Guest artists Tom Chiu, violin and Brian Snow, cello. Ensemble Epomeo, Church-in-the-Gardens of Forest Hills, Queens, NY. Brahms’ Piano Quartet in G minor. Ensemble Epomeo, Maritime Museum, Newburyport, MA. String Trios of György Kurtág, Melissa Dumphy, & Beethoven. Ensemble Epomeo, University of Pennsylvania, Philadelphia, PA.
American Festival of Microtonal Music, New York, NY. 9/11 Memorial at the World Trade Center Site, New York, NY. The [kaj] ensemble, New York, NY. Kevin James’ 100 Waltzes for John Cage. Violin and Cello duos of Scelsi, Schnittke, Waller, Xenakis with cellist Brian Snow. Violin and Cello duos of Scelsi, Schnittke, Waller, and Carter with cellist Brian Snow. Paragon Ragtime Orchestra, Bay Chamber Concerts, Rockland, ME. Paragon Ragtime Orchestra, Old Machias Church, Machias, ME. Paragon Ragtime Orchestra, Kingsborough College Amphitheatre, Brooklyn, NY. Omni Ensemble, Annual Gala Performance, Brooklyn, NY. Hudson Trio, Private Concert, The Knickerbocker, New York, NY. String Trios/Duos Recital with violinist Tom Chiu and cellist Brian Snow, Culture Fix, New York, NY. Recital with cellist Brian Snow, Petty Auditorium, Skokie Library, Skokie, IL. Recital with cellist Brian Snow, Staller Center Recital Hall, Stonybrook University, NY. Omni Ensemble, Brooklyn Conservatory, Brooklyn, NY. Omni Ensemble, College of Staten Island, NY. Ensemble Epomeo, Hans Gal Society Annual Gala Concert, Edinburgh, UK. Argento Chamber Ensemble, St. Peter's Episcopal Church, New York, NY. Argento Chamber Ensemble, The College of New Jersey, Ewing Township, NJ. Argento Chamber Ensemble, Yale University, New Haven, CT.